The Strand Historic area is where you can find so many historical buildings. Many of the buildings have been modernized to hold restaurants, bars, boutiques and antique stores. There are a little shy of twenty antique stores in that area. 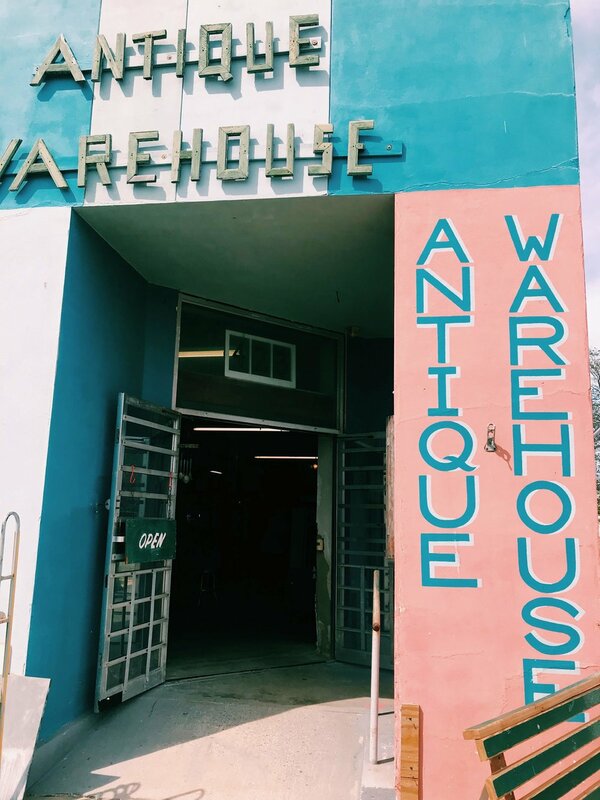 We visited the Antique Warehouse which is a great resource if you are looking to add historical elements both for interiors and exteriors, furniture and hardware. 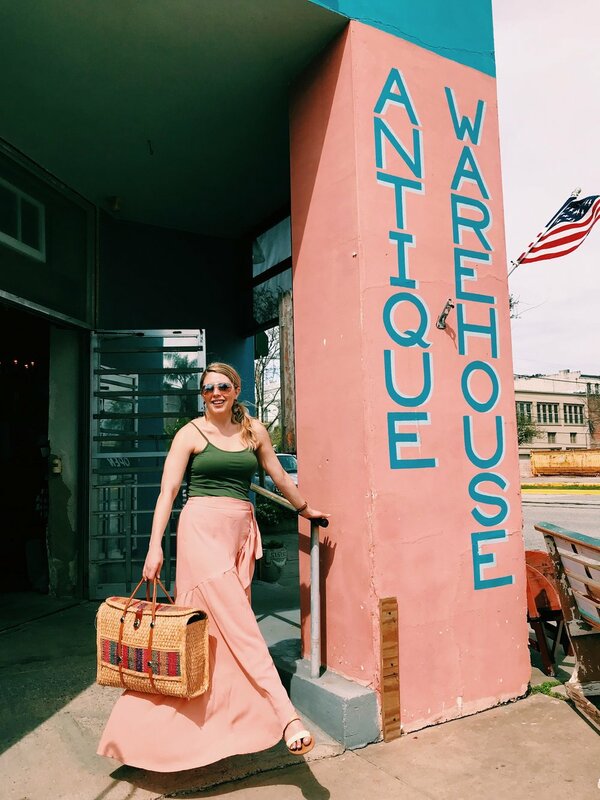 It was voted as the best antique store in the city and resides in a very controversial building. 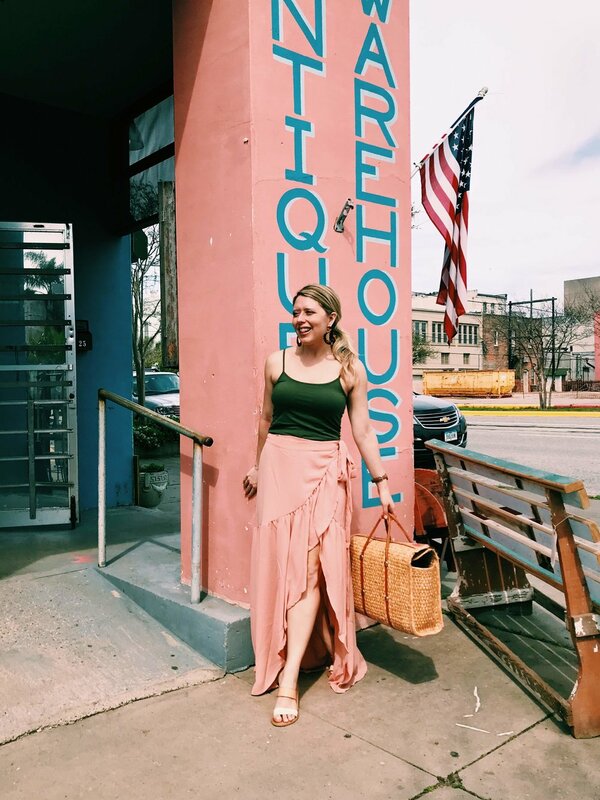 I wore a beautiful blush ruffle maxi skirt over a simple olive green tank top. For this trip I packed more neutrals since I’ve been loving a muted palette. Blush acts as a neutral and olive green is so earthy when paired with the soft hues of the pink. I added casual simple leather slides and a vintage blanket basket for a tote to store shopping finds. This particular shop is an old converted hotel named the Oleander Hotel. 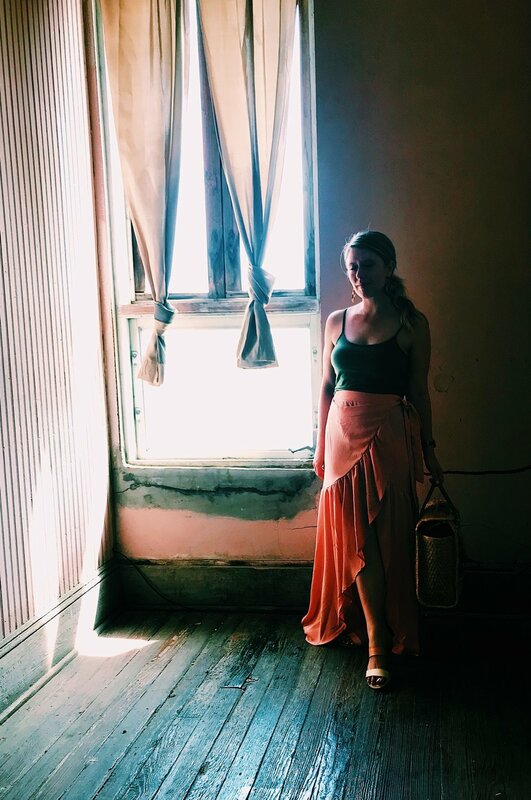 The Oleander Hotel has a history of being a brothel during the 1940s and 1950s. 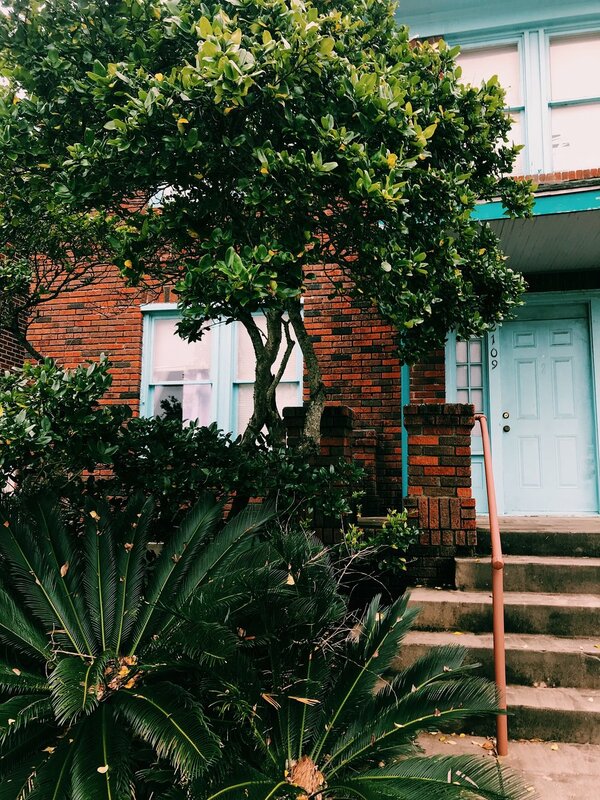 Galveston has changed so much since that time as it is now a place for families to come and enjoy the beach, historic areas and architecture. 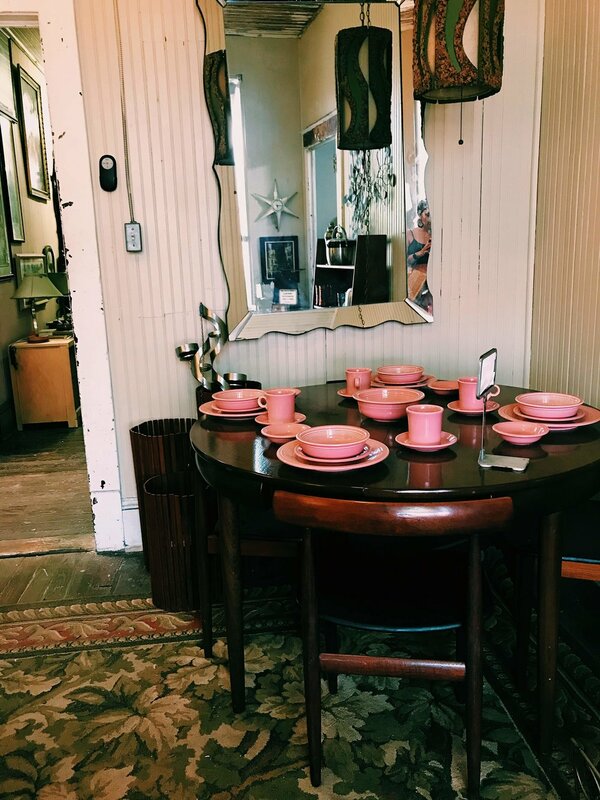 Much of the antique store is available to tour and you’ll even see some of the rooms preserved with furniture from the nineteenth and twentieth century. After we popped in a few shops we headed over for ice cream a few blocks away. It was pretty warm this afternoon and a little treat was perfect for the occasion. Galveston is an excellent location if you celebrate Mardi Gras. I prefer to steer clear of crowds so we decided to visit Sunday through Tuesday last week. I could have easily spent one more night and it be the perfect vacation. The island is filled with so much to do, but I needed more downtime in between all of our activities. This was a really interesting find in the picture above. 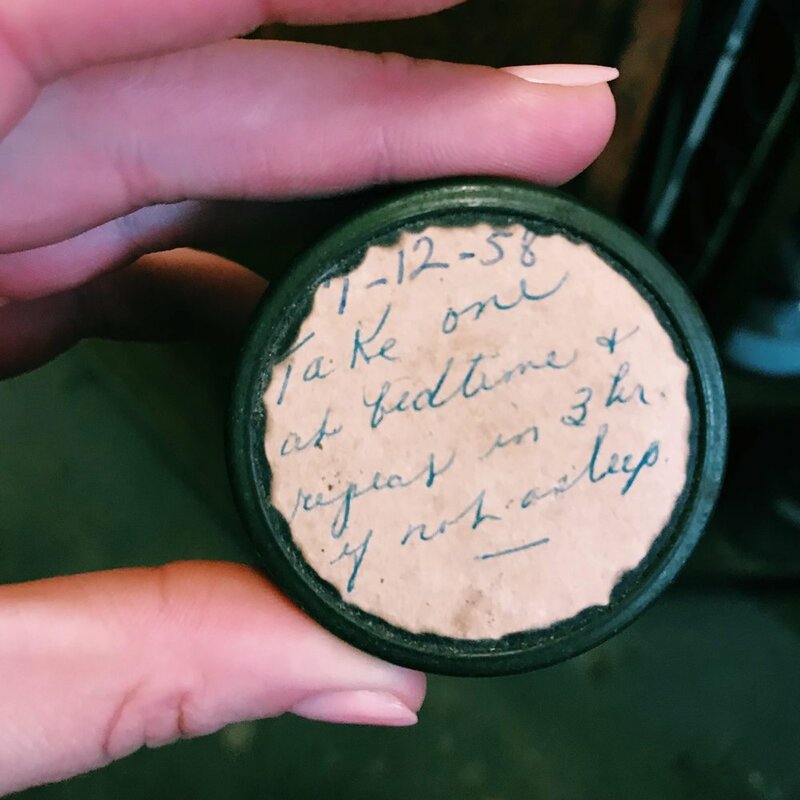 I found unique items like this pill case which was a prescription from the doctor in 1958. It was something to help a patient sleep and I thought it was interesting how it was handwritten. It’s so fun to pick up little treasures with history. 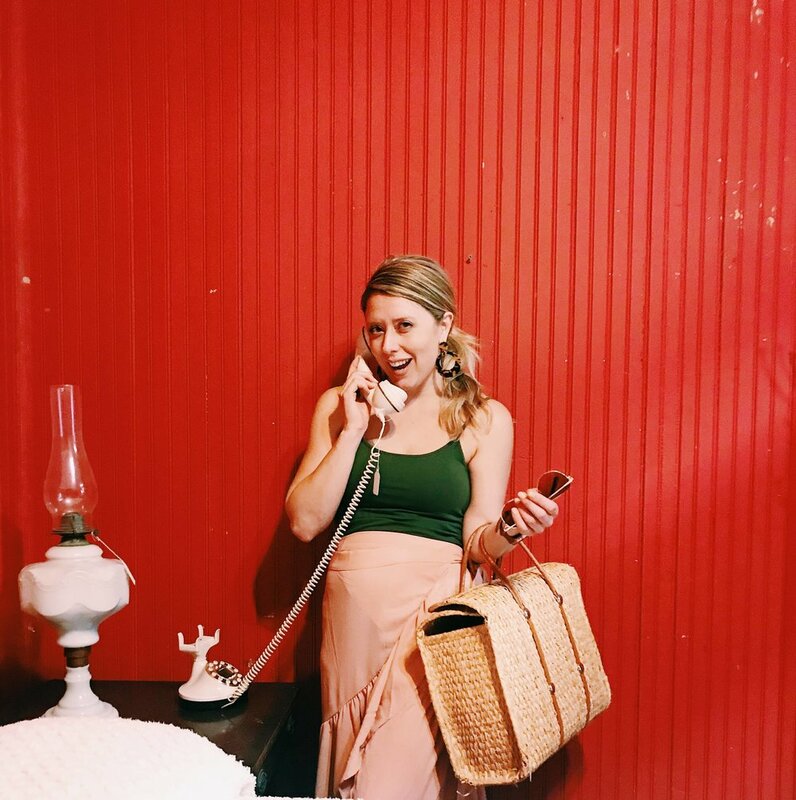 Seeking antique stores is always a fun activity. I love bringing things home that have a story to tell instead of typical cheap looking item. 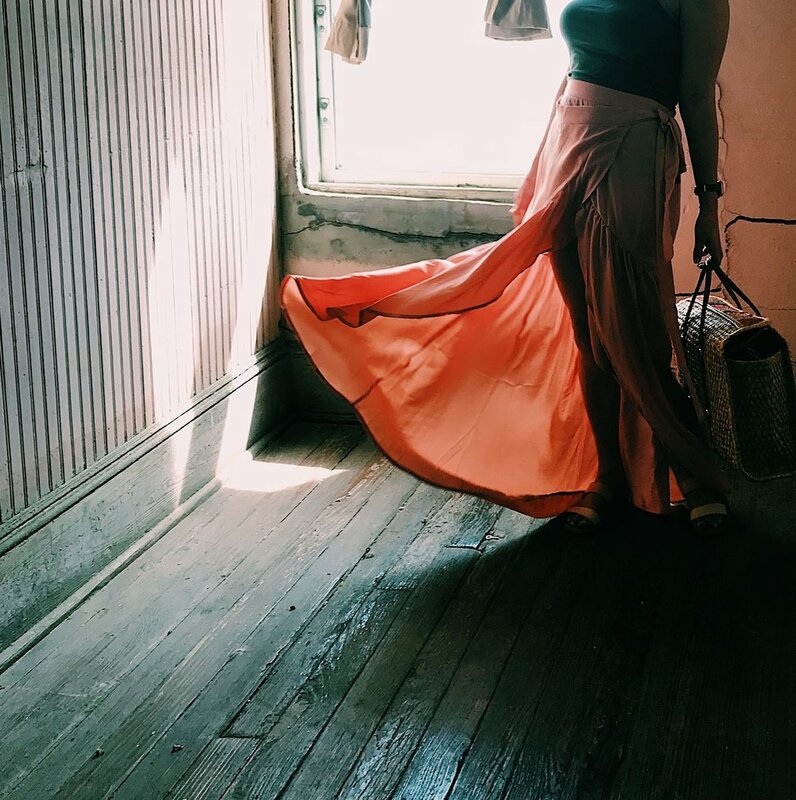 I like to find either fashion items I’d wear or incorporate from time to time in different looks or things for my home. Another thing I love to look for includes vintage Christmas ornaments. The Strand is lovely area if you are looking to find specialty shops, holistic yoga, and plenty of patios to grab a cocktail or bite to eat. If you want to see more pictures about the Strand - check out this post from last year when I visited in February.